Visual Art Submissions Now Open For The CACN Anthology! Welcome future comic stars to 2019! I sincerely hope that this is your year, whether that means the year you get your big break, the year you start writing or drawing every day, the year your job or schoolwork allows you to focus on your passion, or even just the year you make some meaningful friends. What I know is that CACN will be working to make sure this is our year. And part of how we’re going to do that is with our first ever CACN anthology! We received story pitches from many of our talented writers late last year and now it’s time to see what the rest of our community can do as well. We took some extra time making sure the writers were fully taken care of, and we do appreciate your patience, but it’s finally your turn. We’re looking for pencillers, inkers, flatters, colorists, letterers, graphic designers and any other kind of visual artist who wants to make comics to submit. To writers who missed the submission period, do not worry. You are welcome to send us some of your work as well. Though we can no longer accept pitches, there is a chance that a talented artist may not fit the stories that we’ve picked and we may call upon writers who were late or previously declined to write a story for that artist. After all, there’s no right way to make a comic. If you’re interested in being a part of the book, please send a portfolio or other sample of your work to cacnanthology@gmail.com and we’ll enter you into the artist pool. Especially if you’re interested in a more specific side of comic art like coloring or lettering, we need you and we’re looking forward to working with you. All artistic submissions are due no later than February 14th, a fine day for connections, don’t you think? Once submissions are finalized, artistic teams will be paired with writers to complete stories during the spring and early summer. That means that this isn’t just a chance to produce some more art, but an opportunity to network in itself! We regret that we cannot offer payment to our contributors, who undoubtedly deserve it. However, anyone who works on the book will receive as many copies as we can afford of the completed anthology to sell. Additionally all contributors will have the right to purchase books at a discounted rate. In the unlikely event that enough money is raised that it cannot reasonably be put back into the production of the anthology, 100% of that profit will be transparently returned to the contributors. 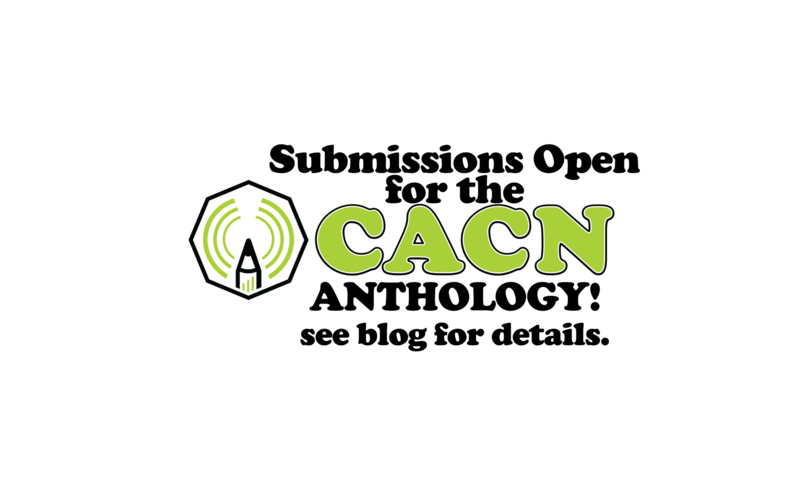 Anyone who’s ever attended any CACN or Creator Connection event is eligible and, in the spirit of the group, we encourage you to spread the word to your Creator After Con Network. I hope you had a wonderful holiday season and a happy new year. Now let’s get back to work and make some amazing comics. Labor Day weekend we're at San Francisco Comic Con. Check @CAfterConN for details! Creator After Con Network is here to help aspiring comics creators network and find new collaborative partners.